This report analyzes the so-called election in Venezuela, as well as the upcoming votes in Colombia, Mexico and Brazil. 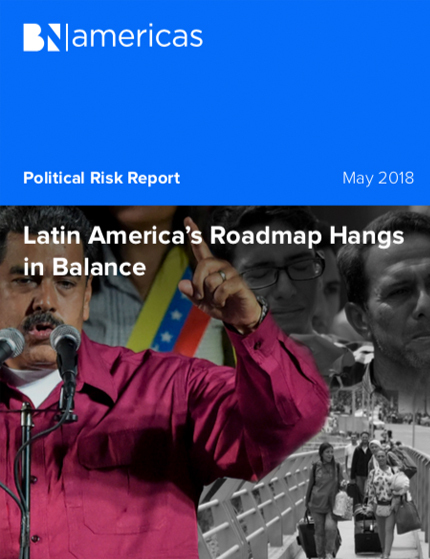 We also go into detail on political risk in the sectors we cover at BNamericas. Read this report for the latest on what might impact your business in Latin America. GLOBAL DATA ANALYTICS, Inc. 2035 Sunset Lake Road, Suite B-2, Newark, DE 19702, United States.